Home › Which additional functionality does the licensed Reporting Modul offer? Which additional functionality does the licensed Reporting Modul offer? Submitted on 2. July 2010 - 14:00 by pasci. Last update on 20. July 2012 - 15:29. Airlock provides a lot of very useful log data and graphical informations even if the additional Reporting Module is not licensed. 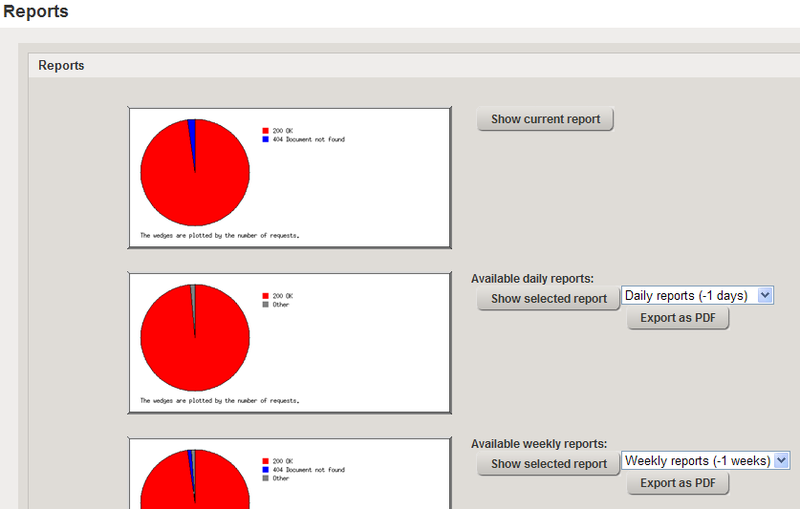 Without the licensed Reporting Module, the section Report does only provide demo data. It doesn't contain real system data. The Log Viewer shows all Log Messages over all Airlock components like OS messages, blocked requests, allowed requests, authenticated sessions and others. You can filter for many predefined values and/or search strings. You can also generate diagrams showing the number of log lines (avg/max) or log file sizes. The layout drop-down menu gives you access to these three layouts. You find them under “----GRAPH---“. A diagram showing response times between Airlock and back-end hosts is available as under “----Airlock----- Responses”. 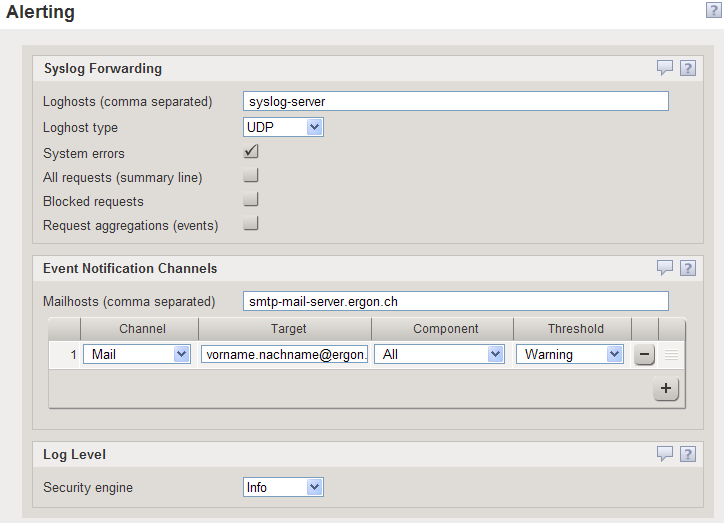 The Alerting Module delivers log messages and aggregated events to backend systems. 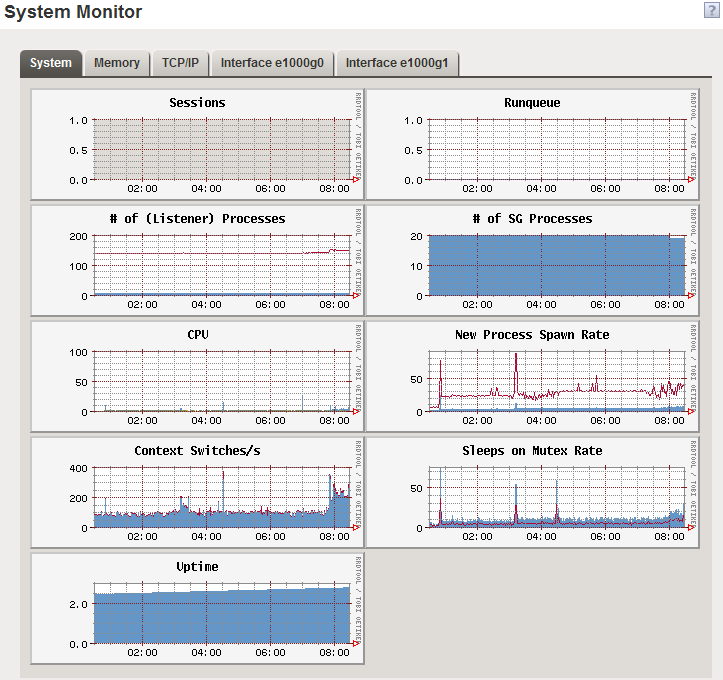 These may be centralized monitoring solutions like IBM Tivoli, Nagios, BMC Patrol. 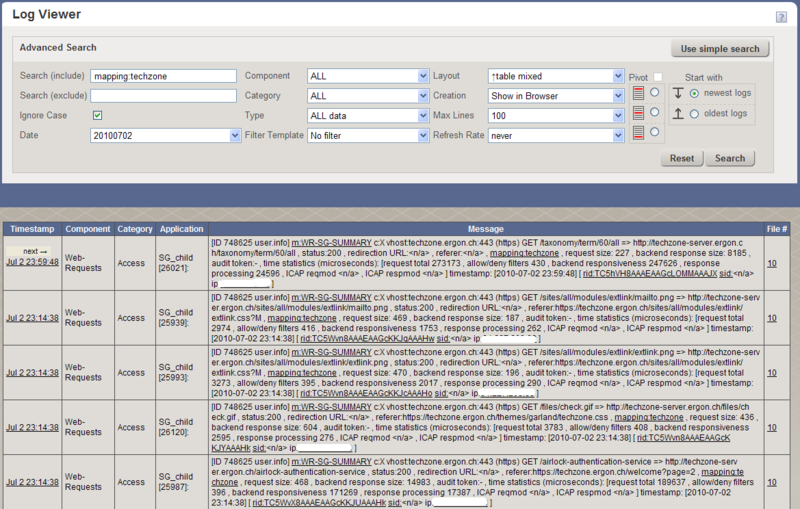 With a license including the Reporting Modul capability, following views and logs are added. You get additional diagrams through the Log Viewer. You will find over the dropdown “Layout” additional entries to generate following diagrams (if data are available). The legend show the type of block reasons (p.e. NoMappingFound). The legend show the type of matched deny rules (p.e. HTTP response splitting rule). The legend show the type of HTTP Method (p.e. POST and GET). Shows how many Web-Requests/Access take how long to proceed (group of <10 ms, 10 ms, 20ms, etc.). Shows the Web-Request sizes in units of 100 Byte, 200 Byte… 2 kb, 5 kb etc. 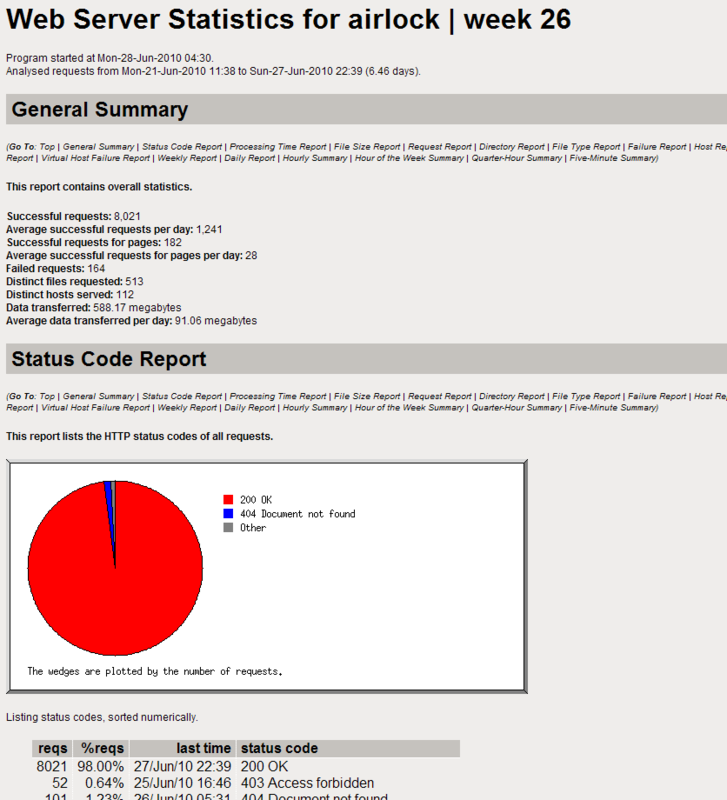 It’s an overview of positive (like 200, 304) and negative status codes (like 404, 500, etc.) and counting values about the number of Web-Requests with this status codes. The Airlock Reporting Module is sold as an optional capability for Airlock. For sales inquiries, please contact airlock-sales@ergon.ch.